Revolutionize your cooking with this 10" Carlisle Excalibur 60907XRS non-stick aluminum fry pan! 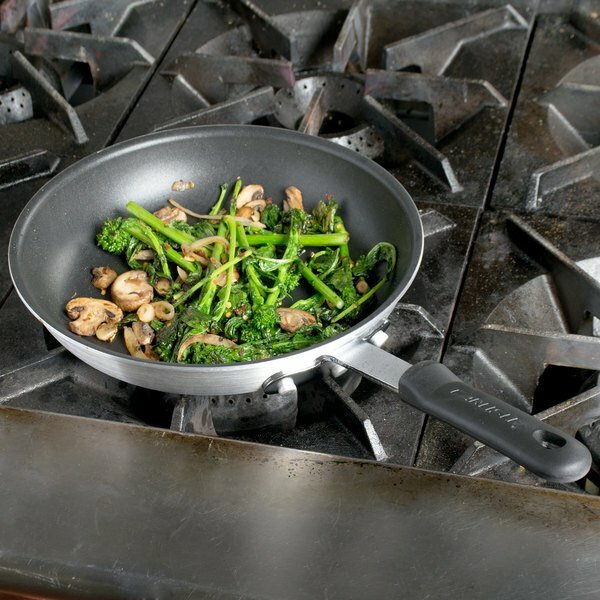 This sturdy fry pan is anything but traditional with its stainless steel reinforced non-stick coating, superior to any standard coating seen amongst competitors. 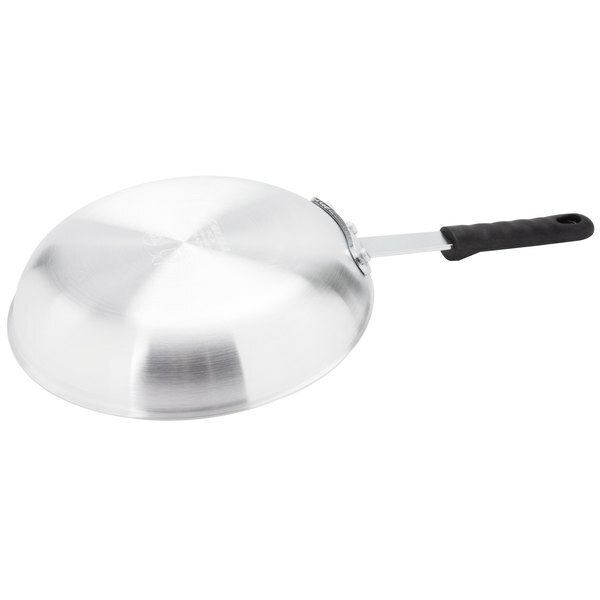 Great for adhesive products such as eggs, pancakes, and omelet stations, this fry pan makes clean up a breeze. With a durable 3004 aluminum body, cook your toughest foods evenly without the need for added fat or oil. 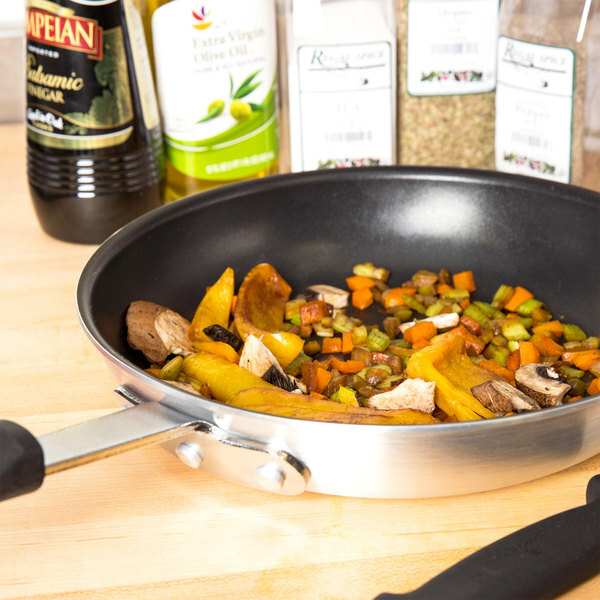 This fry pan shines amongst its competitors with its multi-layer surface created by the stainless steel reinforced non-stick coating micro-bonded to the substrate of the pan. That means greater longevity, easily released food and a more scratch resistant surface for even the toughest foodservice environments. Stay safe with the riveted handle featuring a removable Dura-Kool sleeve that stays cool to the touch. 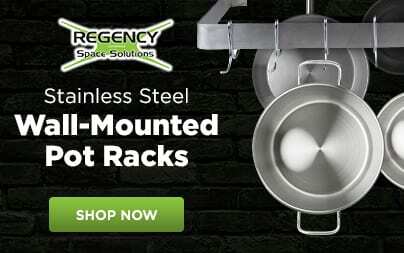 This gives chefs the peace of mind knowing both their pan and handle are up for any challenge! To keep this non-stick fry pan working its best, be sure to keep temperatures below 500 degrees and although it boasts the best scratch resistant coating, metal utensils are not recommended for use with this pan. This pan is very good quality product. I normally fry sliced potatoes in it which took some getting used to since it heats up a little bit slower than other pans I have because it’s a nice thick pan. It’s also great at not sticking to things. These pans are a little more expensive but the coating last longer for us. We also like the protective handle on each pan, makes for less ouches in the kitchen. A fantastic nonstick 10 inch frypan. Cleans easy. Has a great place and stainless look. 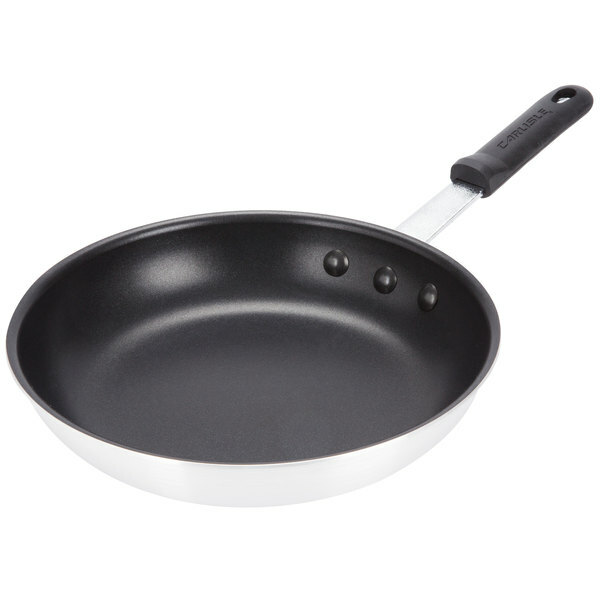 Functional, clean, stores well with other pans and is a great price. This pan is nice to have in the kitchen Good for larger batches of eggs, pancakes, french toast or anything that is prone to sticking to the pan. I use this pan for cooking crepes. It is non stick, so it provides a perfect surface for cooking crepes, which are prone to stick. It is not good for high heat applications. THIS 10 INCH NON STICK FRY PAN WAS A EXCELLENT CHOICE,THE HANDLE IS WELL MADE HAS A SUPER GRIP AND DOES NOT GET HOT TO TOUCH. 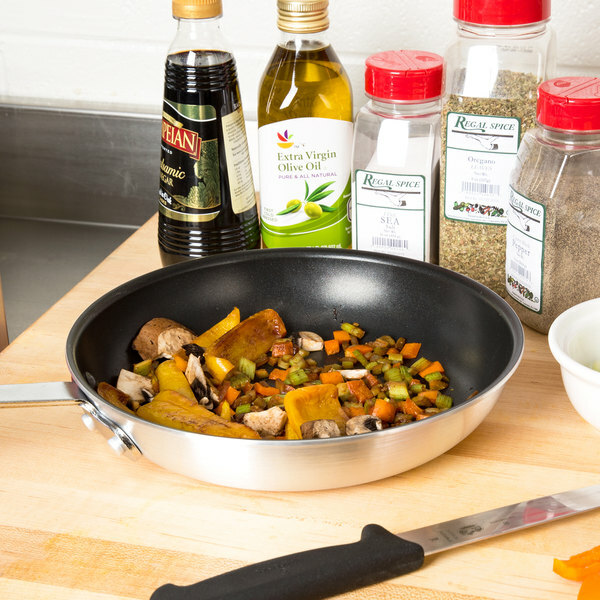 We love this pan and use it daily, multiple times a day. 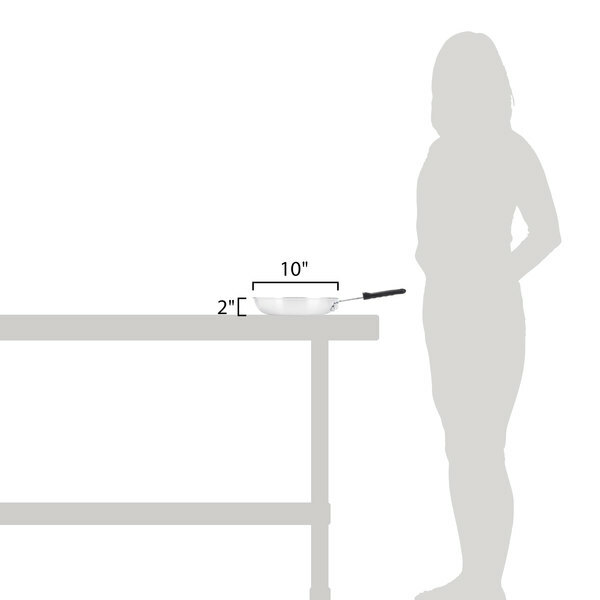 It is primarily used to cook our mac and cheese, never have any residual residue after wiping out. If taken care of correctly, this will last us for awhile. Ordered this because it's little brother is so great. Got the egg-rings with the fold-able handles and a lid. Makes perfect Egg Mc Muffins. Giving to all of my family. High quality, low price and delivered on a Saturday! This pan is awesome! I have one at home as well as several at work. They are a good size for making a small stir fry for you and your significant other. I am a retired chef and I have used these roducts over many years the are the best product on the market for the money. This is a great frying pan. I like it better than those I've bought locally. It is really sturdy and keeps its coating even after heavy use.